Wondering what pasta type you'd be if you were one? Maybe it's manicotti because you keep to yourself. Or maybe it's the classic spaghetti, because you're messy? 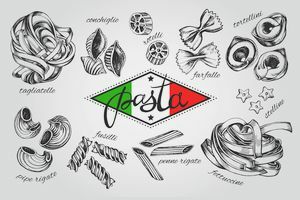 It's time to find out what type of pasta you are! Maybe you're a common type, because you're well-liked. Or maybe you're more obscure because you're so interesting? Answer 29 questions about yourself, mainly about your personality. Then we'll tell you what pasta type you really are! Are you ready? Take a seat and let's do this.